Don't forget about the Summer reading Activity Tracker. 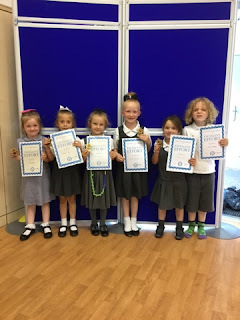 Keep a record of all of your reading activities this summer and you can earn yourself a certificate when we return to school in September. Five lucky winners will be chosen at random, and will each receive a goody bag of books! Colour a square for every 30 minutes spent reading. Make a record of at least four books you have read. Get caught reading - share a picture of yourself reading in an unusual place. Complete the summer reading bucket list. You can even do some extra research. 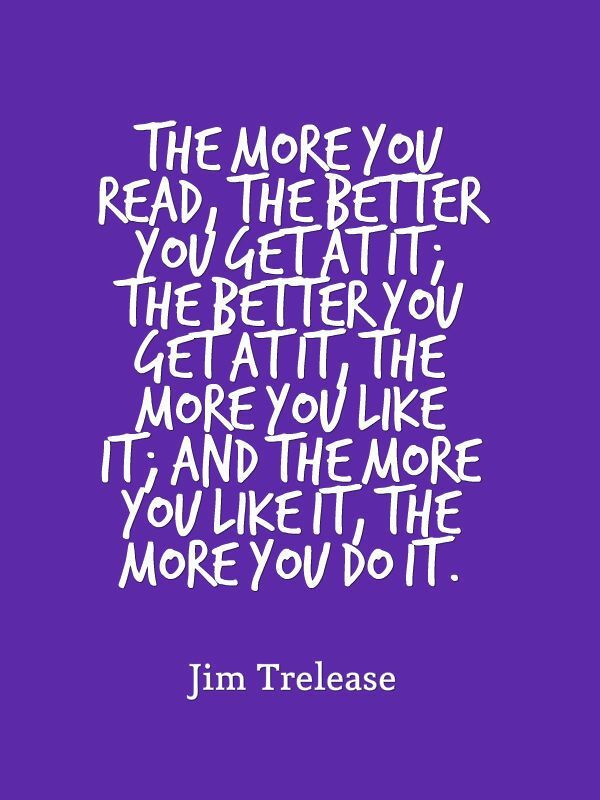 Good luck to all of the amazing readers out there. 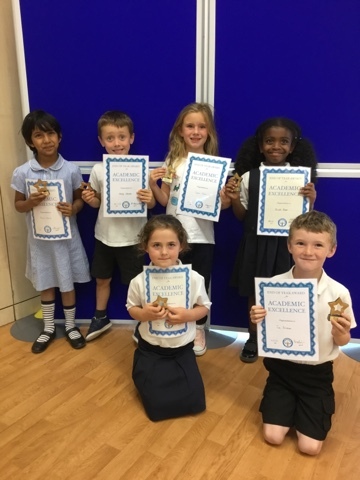 These pupils received the end of year award for Academic Excellence throughout the year 2016-17. Elsie-Rose Elsdon-Skehill, Nicole Alao, Shajia Shaik, Harry Lennon, Sophie Daflon, Zac Nickson, Emily Russell, Adam Abubakr, Arya Shah, Samanyu Handoo, Duya Patel, Leo Whiten, Ayomide Otegbola, Alisha march, Temira Hascar, Nathaniel Ramus. 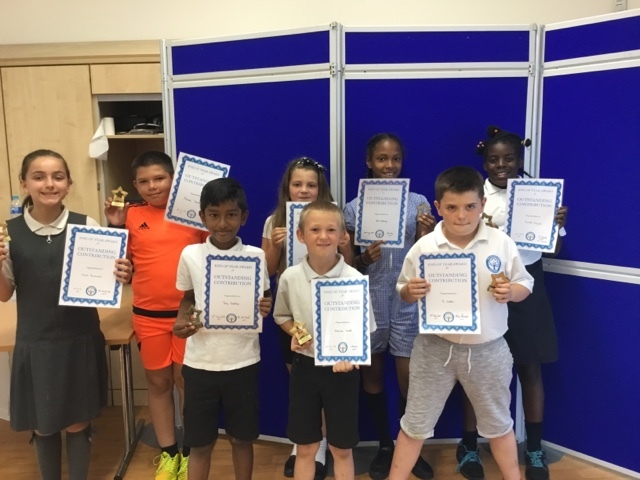 These pupils have demonstrated fantastic sportsmanship over the past year and have been awarded the Sporting Excellence trophy. 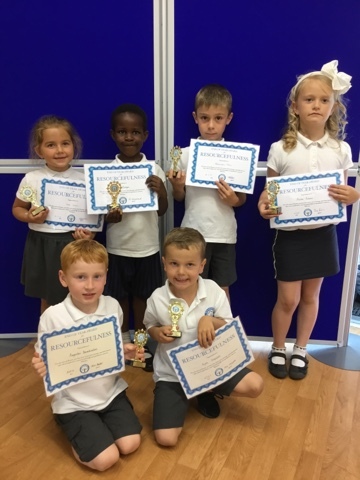 Congratulations to all of these pupils. Mielena Wicher, Lukas Smirnovas, Riley Twum Ampofo, Giada Vargas, Jolene Frimpong, Ruben Roberts, Harry kaylor, Naleli Sibanda, Ketty Omwanghe, Daniel Tonu, Adebare Olugbodi, Archy Gore, Tony Marshall, Ta Himuyandi, Athen Nombeko, Mitchell West. Throughout the past year these pupils have made sure that they have put 100% effort into everything that they do each and every day at school. 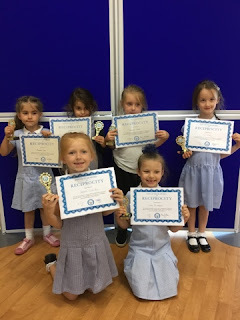 This is why their teachers have awarded them the trophy for Excellent Effort. 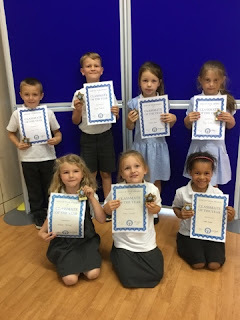 Indianna Roy, Jessica Mersh, Daisy Bones, Blake Maddox, Jennifer Wall, Tommy Cressey, Kara Middleton, Paige McGeoghan, Ethan Himuyandi, Caydon Buckland, Armani Peek, Matthew Murcia, Rhianna Morton, Ethan Gibbs, Giulia Vargas, Jack Silva. The following pupils have dedicated their time to making sure their contribution in class and to school life is outstanding in every way. Congratulations on your Outstanding Contribution award. Ife Ogochukwu-Ijehor, Tyinope Ariyibi, Danny Howe, Kanishka Chintala, Maddison Asling, Lewis davis, Hollie Gray, Ronnie Mersh, Charlie Marshall, Libby Northwood, Javy Needroo, Ranita Ariyibi, Keira parmenter, Ty Sutton, Plamen vasilev, Tiara McGillivary. 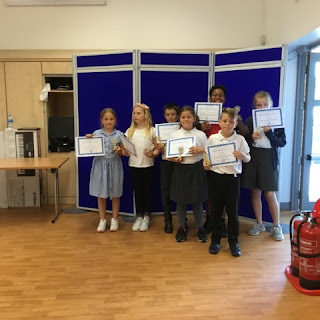 The Classmate of the Year award is voted for by the pupils. These children have been kind and polite to their peers this year and have helped and supported so many pupils in their classes. Layla Millar, Siena Cornish, Hannah Wellings, Grace Horne, Freddie Little, Hayden Northwood, Roxy Smith, Timi Adelowo, Sienna Watson, Mia Gallagher, Charlie Ilott, Matthew Munjere, Rashida Sillah, Storm Hawkes, Emma Bloy, Vittorio Omwanghe. 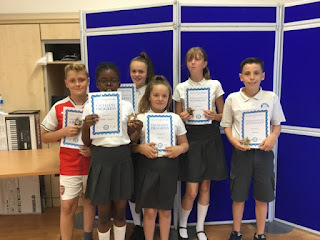 These year 6 pupils have demonstrated that their incredible attitude and ability to focus has resulted in fabulous results. We hope that you are as proud of yourselves as we are of you. 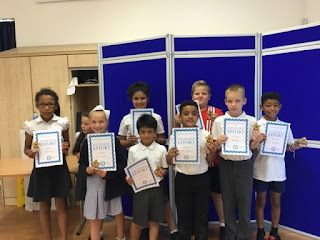 Congratulations to you all for demonstrating your learning powers throughout the whole year. If you are stuck for ideas on what to do this holiday, take a look at the ‘50 things to do this summer’ list. A lot of the ideas are free, simple and can be carried out with friends, siblings or even on your own. 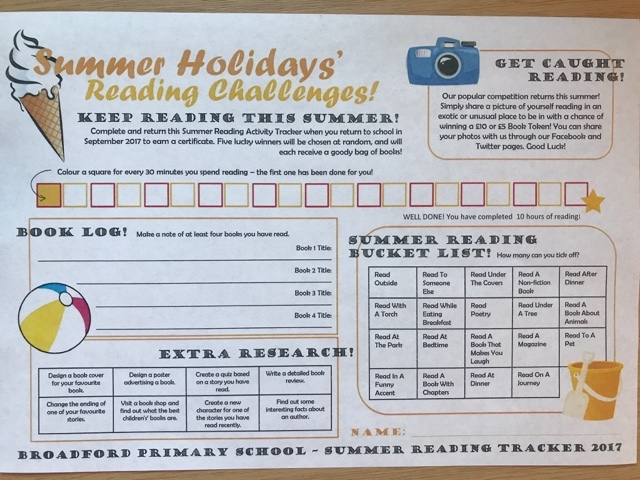 If you manage to complete one or more of the activities make sure you take a photo and send it to us via the school Facebook page, or email it to office@broadford.havering.sch.uk. Look out on the blog to see what all of your friends are up to over the six weeks! 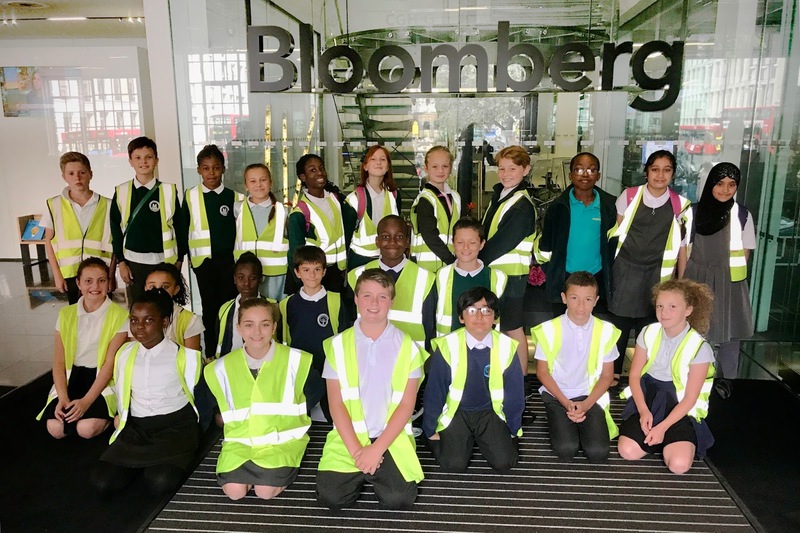 Pupils from both Broadford & Mead Primary were invited by Bloomberg to experience a careers day at their City Gate London office. The careers curriculum across the Learning Federation is a key way of inspiring pupils to realise where their learning has the power to take them... from Harold Hill to a City Board Room! I had found out that it is a digital information company. Bloomberg allows people all over the world to get facts and figures about the stock market so that they can buy and sell shares at the right prices. If you have the right information at the right time you are more likely to be successful. 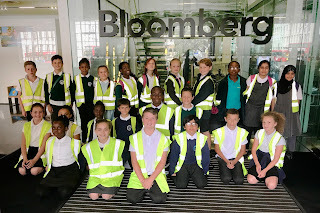 The pupils from the two schools had been looking at significant leaders from the business world and were impressed by Michael Bloomberg. Michael Bloomberg gave up his company for 3 years so that he could be the Mayor of New York. Not many people would do that! He was so good at the job they kept re electing him. Next the pupils had to prove they had the communication and presentation skills to survive in a $50 billion company, by pitching an idea to sell a product. Working in teams they had to figure our the unique selling point of each item and convince the Bloomberg judges to buy it in under a minute. We were blown away by the quality of their team work and the presentation. Many adults could be nervous about pitching an idea in front of a large group, but each team did it with confidence and style. If they can keep on developing these collaboration skills we would love to see them again for an apprenticeship. Finally the trainee Bloomberg employees got to tour the impressive offices and meet teams from each department, which meant they now have an even better understanding of the scope of Bloomberg's operations. Days like this really inspire our pupils to achieve the very best for themselves. To hear first hand how vital it is that they are able to work in a team, communicate effectively and speak confidently means that they see the purpose in all we do at school. Bloomberg put on an fantastic day and we can't wait to visit again next year! Malcolm Drakes - Executive Headteacher. 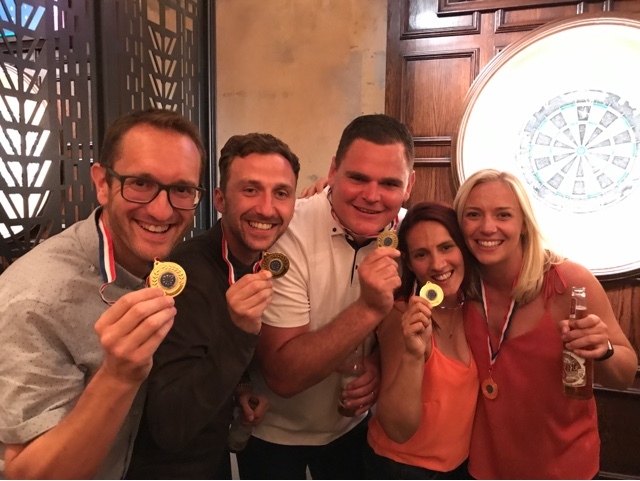 Staff from the Learning Federation celebrated the imminent end of the 2016-17 academic year by holding a darts tournament at Flight Path, Shoreditch. Mixed together in teams of 5, the competition was hard fought. In the best Highlander style, there could be only one: Malcolm, Mark, John, Debbie, Emily and Jo managed to fight off a great effort from the other finalists to lift the trophy! What shone through was the clear ethos of healthy competition, team work, mutual support and challenge and a real sense of fun. These are the qualities that make the Learning Federation a great place to work and a family of schools that has a tremendous positive impact on the lives of some very vulnerable children. 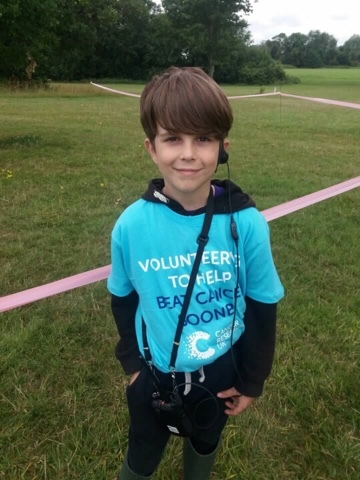 Well done to Sam, who has given up his time to help marshall a Race for Life at Hylands Park. Without volunteers like Sam these fundraising events wouldn't be possible. Across our Learning Federation we believe that volunteering is a crucial way to give back to your community and support others - well done Sam for being such a good model for this! William is the first pupil out of the blocks with the Get Caught Reading campaign for 2017! 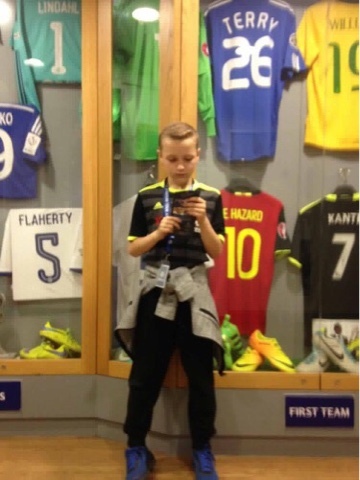 Clearly there isn't much to look at when you are completing the Chelsea stadium tour. Had William been at the London Stadium exploring the rich history of West Ham United Football Club he wouldn't have had time to get out his book and start reading! Well done for getting caught so early on William... we look forward to seeing the next photos very soon! It's the first Monday of the summer holidays and it's raining. Not sure what to do today? Why not try out one of the activities from our 50 things to do this summer list. It is the perfect weather today for number 3, 22, 23, 34 or 44. Don't forget to send us your photographs. Number 3 - Shelter under a tree in the rain. Number 22 - Learn a new song. Number 23 - Learn a new poem. Number 34 - Wear PJs all day. Number 44 - Have a cinema day at home. As we reflect on what we have achieved this year I am extremely grateful to the staff, pupils and parents for all of the hard work they have put into making it so successful. Though I am sure our collective efforts have left us all in need of some rest, I wanted to take some time to reflect with you, it’s the little things that matter and they can direct us to the larger things. I would like to thank all of our pupils for their diligence and achievements this year. The Maths ‘count on us’ team were ranked 10th out of 120 schools in London. The sports team were overall winners at the Drapers’ primary sports day. Year 6 performed a brilliant production as well as achieving amazing SATs results. The choir performed fabulously at the O2 and the Queens’ Theatre. And, of course Broadford Primary won the prestigious title of Primary and Overall school of the year. This is just a very short list of our accomplishments which I hope each and every one of you feel proud of as everyone played an instrumental role in these successes. As we look towards the future, there is no doubt that the 2017-18 academic year will be a difficult one. The looming budget cuts will be painful. At this point, we don’t have answers. What I can promise is that we will address this problem collectively, lead by our shared academic values, morals and vision. What I can promise is that we will continue to deliver an excellent education for your children which will result in excellent outcomes. I recently read that our ambitions need to be big. 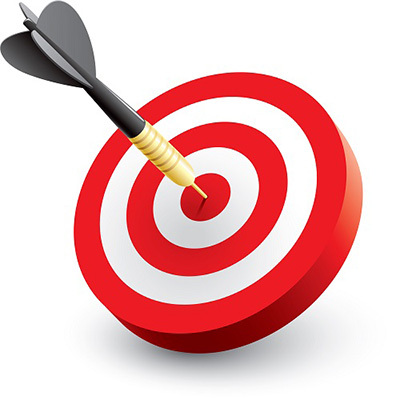 If I have learned anything over the past year, it is that if we set small goals, we get small results. If we set big goals, sometimes we are disappointed, but more often than not, we get big results. As we continue on this journey together, we need to have the ambition to become an even better school and an even stronger federation. Outstanding schools are innovative, that is for certain. But the best of them combine that innovation with superior execution. They do what they say they are going to do, and deliver superior results for their pupils. They find new ways to engage their learners. They have passionate and committed staff who continue to develop and grow. They do a fantastic job, not because they must but because it is the right thing to do. This is Broadford. By working together we have made this ambition become a reality. I hope that you are as excited about the future of this school as I am. The circulation of the newsletter on the blog and via facebook has been extremely successful and has made an significant impact on our carbon footprint as a school. Last week the newsletter reached 1069 people with 5 shares on facebook and was read 496 times via the school blog. We will continue circulating the newsletter in this way next year. 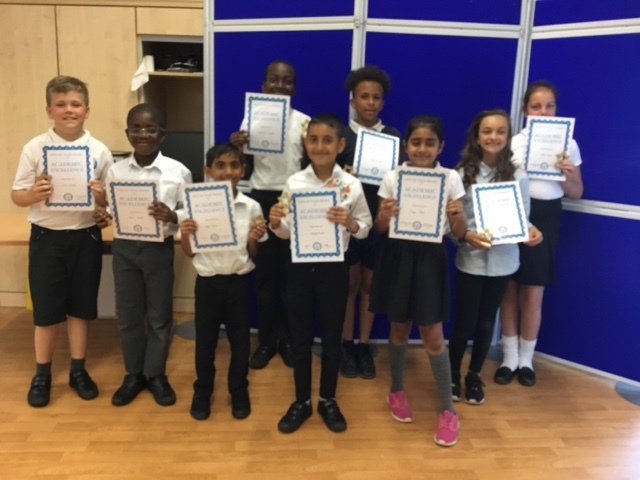 However, if you would like to continue to receive a paper copy or an electronic copy of the newsletter via email please come into the office and inform Mrs Taylor. If you do not make a specific request you will be able to access the newsletter on the school blog and facebook page every Friday. Thank you all for your support with this new system. Mrs Mcfarlane will judge the winning entries on the return in September, with the best photos earning a prize and certificate… so get reading! 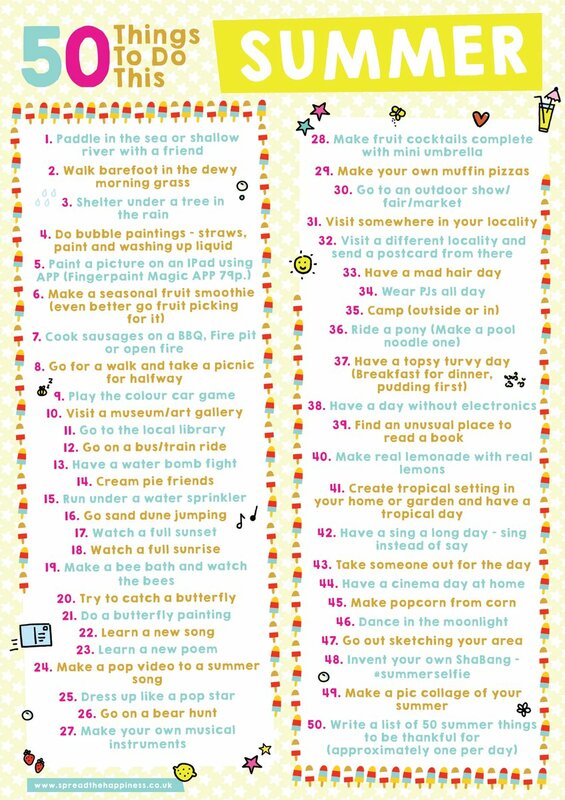 If you are stuck for ideas on what to do this holiday, take a look at the ‘50 things to do this summer’ list. A lot of the ideas are free, simple and can be carried out with friends, siblings or even on your own. 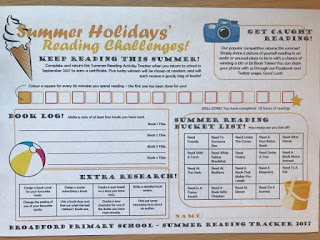 If you manage to complete one or more of the activities make sure you take a photo and send it to us via the school Facebook page, or email it to office@broadford.havering.sch.uk. 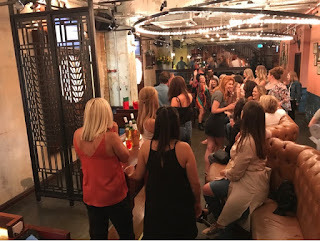 Look out on the blog to see what all of your friends are up too this six weeks! All that leaves me to do is to wish you a relaxing and enjoyable summer break. For those of you moving on to secondary school we will miss you but we know you are well prepared for the challenges you will face and you go with our very best wishes for the future. If you are travelling, then I wish you a safe journey and we look forward to seeing you rested and refreshed for the start of the new school year on September 5th. 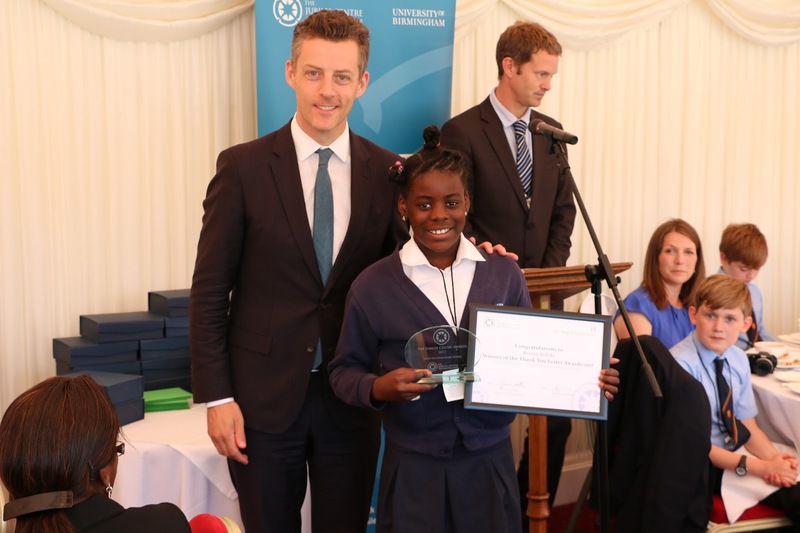 Ranita Ariyibi - a Year 4 pupil at Broadford Primary - has won the Primary section of The Thank You Letter Awards for 2017! The awards are a national writing competition organised by The University of Birmingham. Its aim is to recognise and reward young people between the ages of 5-16 who have shown gratitude to others in their everyday lives. We use this competition as an inspiring stimulus for our writing in school. First we download the Thank You Letter template and encourage as many of our pupils as possible to write a Thank You Letter. The standard in each year we have run the event has been amazing: parents, superheroes, carers, nurses... all have been thanked by the pupils for the way they have helped or supported them. Following the in school Thank You Letter competition Ranita's letter was sent through to the University as one of the top 5. When the national judges read her letter it was an easy choice to choose Ranita as a winner of her age group. 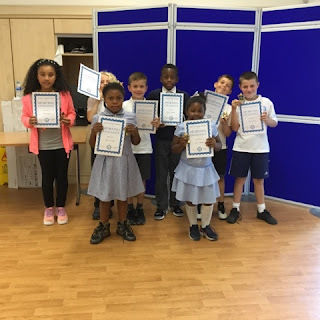 Ranita had chosen to thank her Executive Headteacher for the way in which he had helped the school to progress - particularly for the focus on how the curriculum had been designed to develop the children as people, not just maths and reading. Ranita's letter showed a great level of empathy and character. She had clearly thought about her subject very carefully and articulated her feelings extremely well. We are very proud of her and delighted that she thinks so highly of what we are trying to achieve. 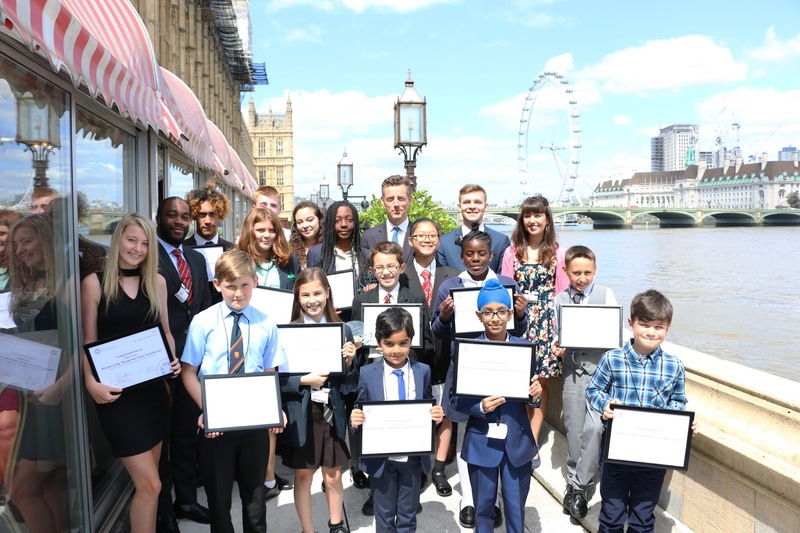 To recognise their achievement, the winners of each category were invited to an awards ceremony at the House of Lords, 12th July 2017. Congratulations to Pine and Ash who top the attendance table this week. 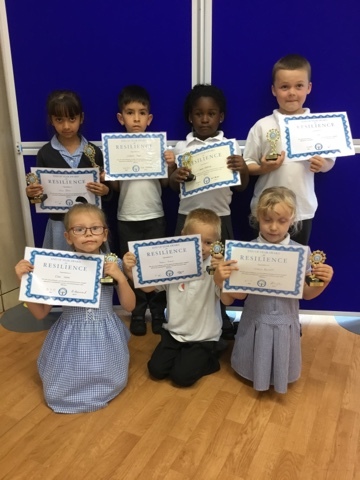 A massive congratulations to Ash class who have won the attendance league for the whole term with 97% attendance overall. They will enjoy their reward next week. 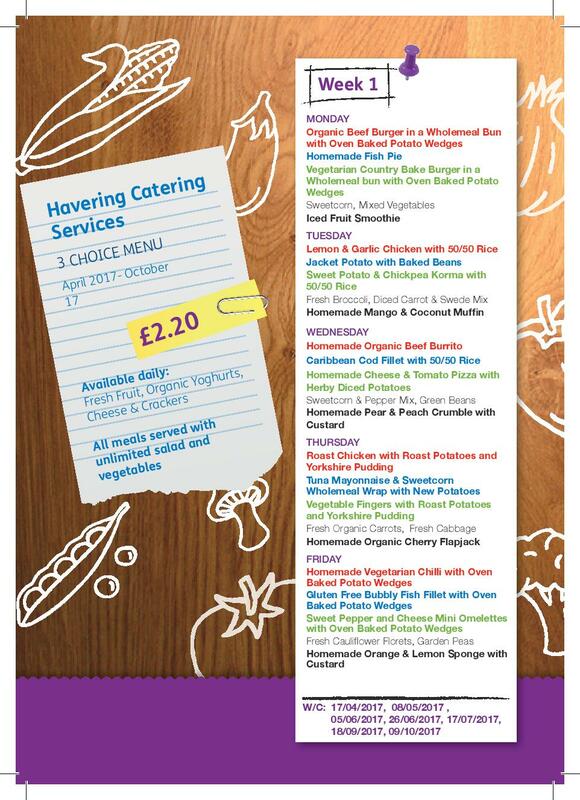 Week beginning 17th July is week 1 on the Havering Catering Services menu. 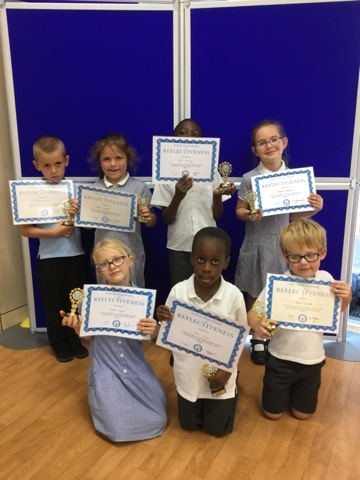 On Monday 17th, the winners of the summer reading league will be enjoying their reward at Kidspace, well done all! Mrs Mcfarlane will be re-launching the reading league in September so look out for the information on the blog. On Monday evening there will be an opportunity for parents to come in and meet with class teachers regarding pupil reports. Please sign up outside your child’s classroom if you would like an appointment. We warmly invite parents of year 6 pupils to come and join them for their year 6 production ‘A Quest for Arthur’ on Tuesday 18th at 9 am. I know the pupils have been working extremely hard on this and are very excited to show their work. Also on Tuesday, a group of pupils will be going to the world championship athletics which is being held in Stratford. Pupils who are going on this trip will have received a letter. At 3.30pm on Tuesday, parents and carers of all year 5 pupils are invited to a meeting with the borough’s admissions officers for full information about applications to secondary school's. We highly recommend that you attend this meeting. Wednesday 19th July is ‘Go Bonkers’ inflatables day. Everyone’s favourite day of the year. All pupils will need socks to wear on the inflatables. At the end of today we say goodbye to our Nursery pupils as the nursery closes for the summer. We wish them all well for their Reception year in September. On Thursday 20th, pupils will get the chance to meet their new teachers and classes in the morning whilst year 6 enjoy pupils vs teachers sport games. I wonder who will win! In the afternoon, Reverend Rich is coming into school to work with year 6 pupils on their legacy project. On Friday 21st at 10 am the final acts in ‘Broadford’s Got Talent’ will be battling it out for the title of overall winner! Good luck to everyone involved. On Friday afternoon we will be presenting the pupils with end of year awards. Term finishes at 3.05 pm for reception pupils and 3.15 pm for the rest of the school. We would like to thank all parents and carers who were able to attend the sports events which took place this week. 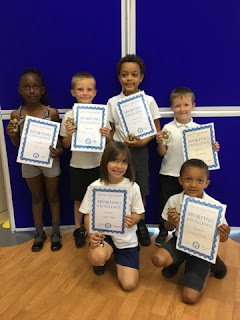 All children performed brilliantly in the athletic, track and field events. 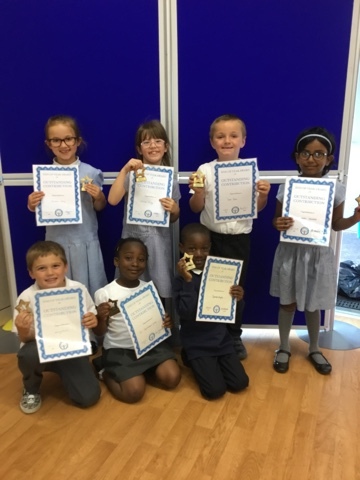 They all demonstrated fantastic sportsmanship and I am sure that you are just as proud of them as we are! 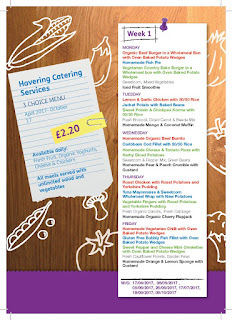 Today, Friday 14th July, is the last day for after school clubs. Mrs Chance and Mrs Charlesworth will be sending information out regarding new clubs in September. Your child’s end of year report will be sent home today. If you would like to discuss the report with your child’s class teacher then please sign up for an appointment on the timetable by the classroom door. In the report envelope, there is a feedback form which we would ask all parents to complete and send back to school by the end of the term. We warmly welcome your feedback and would love to hear if there is anything you feel we could improve. Many thanks. On Thursday 20th July, all pupils will have the opportunity to meet their new teachers and visit their new classrooms. Pupils will be bringing home a letter on Thursday evening regarding who their new teacher will be for your information. Next week we will be saying farewell to Mrs Clements who will be retiring after 28 years service to Broadford Primary School. As you are all aware Mrs Clements has had a significant impact on the pupils and families of the school. We will miss Mrs Clements very much but we send her our very wishes for her well deserved retirement. Kyla Millar, Alin Botonog, Connie Harvey, Freddie Little, Amandeep Ubhi, Aimee Borrell, Grace Leadbitter, Fayo Ayodola, Rolan Vumuka. 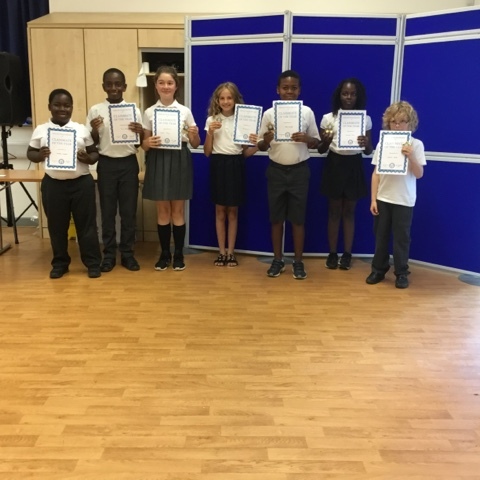 Siena Cornish, Shajia Shaik, Blake Maddox, Sophia Heron, Charlie Bott, Iniya Boothiraj, Amelia Barnett, Nicole Alao, Tutu Omisore.